The SBC8018 Single Board Computer is a compact, low-cost with high-performance controller board designed by Embest. It is based on TI's AM1808 ARM9 low-power application processor which enables OEMs and ODMs to quickly bring to market devices featuring robust operating systems support, rich user interfaces, and high processing performance life through the maximum flexibility of a fully integrated mixed processor solution. 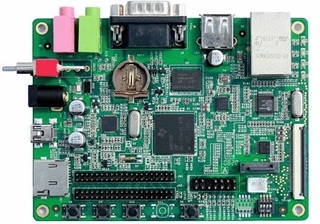 The SBC8018 Single Board Computer takes full features of the AM1808 microprocessor and has 128MB Mobile DDR SDRAM and 128MB Nand Flash on board. It has exposed many other hardware interfaces including Serial port, LCD/TSP, USB Host/OTG, Ethernet, Audio, SATA, two Camera, TF card, etc. It has one 14-pin JTAG interface which can be used with XDS100v2 emulator available from Embest. Embest also offers 4.3" and 7" LCD display with touch screen as optional modules for this board. 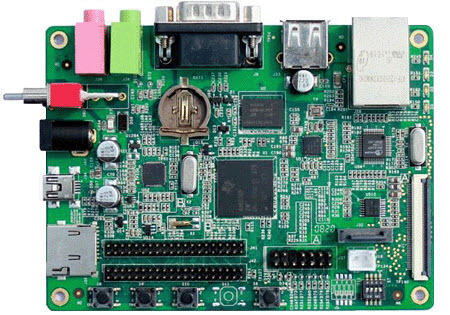 The board is a ready-to-run solution which is provided with Linux 2.6.33 and WinCE 6.0 BSP. It would be an ideal development platform for customers requiring a low power ARM9 processor with cost-effective price point and small form factor for consumer, embedded industrial, medical and other embedded connectivity applications. Additionally, Embest offers various optional modules below for SBC8018 which greatly enhanced the functions of this board.